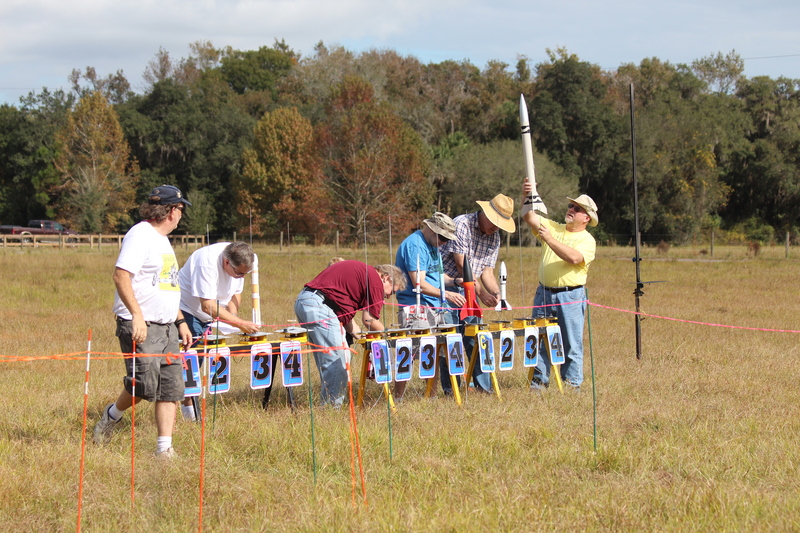 Because of excessive rain lately, we have had to scrub the September, 2015, ROCK launch in Oviedo. While the field itself seemed to be in okay shape when we checked it, the ditches bordering the site are filled with water and the ground under and around the ditches is very muddy. We would not be able to cross them to access the field. 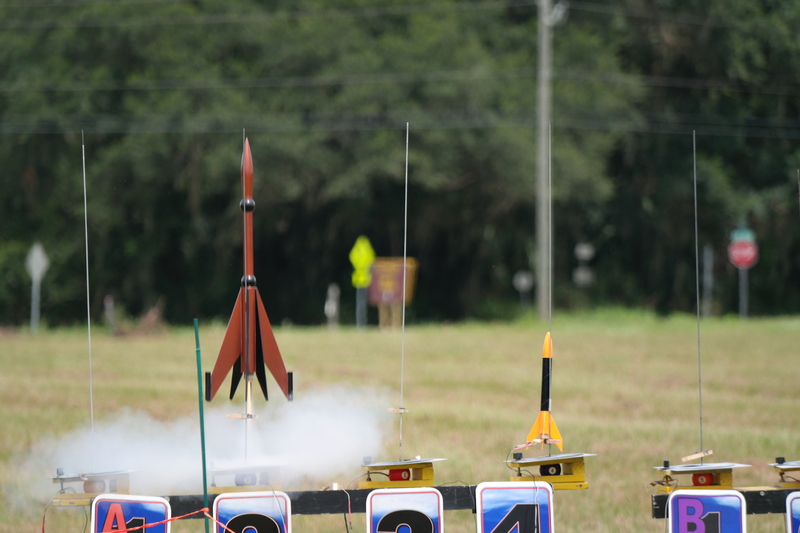 We have had more rain than usual this year, causing several of our launches to be cancelled. The field that we use at the Barr Street entrance of the Little Econ Trail is low-lying and floods easily. We have been actively looking for a new site for years, but finding an area that we can use which is not too far from Orlando is difficult. So, even though the Barr Street site isn’t perfect, we thank the Little Big Econ State Forest Authorities for allowing us to use the field. And, we look forward to better conditions for the upcoming October launch! 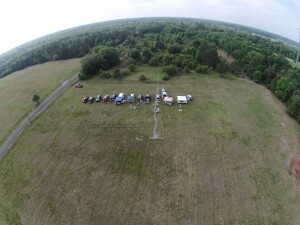 ROCK’s June launch featured a modest turn out, but a full day of flying. 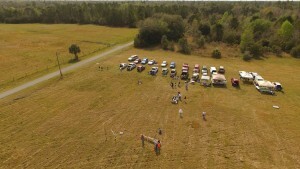 I flew my new DJI Phantom 3 quadcopter to record the event from the sky. The video above also contains some of the still images Bracha and I took. 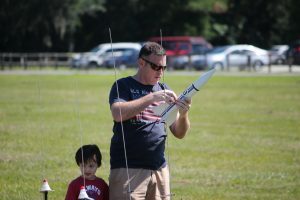 You can see more of the photographs in the RocketReviews photo album at http://www.rocketreviews.com/june-2015-launch.html. ROCK held its last launch of 2014 on December 6. 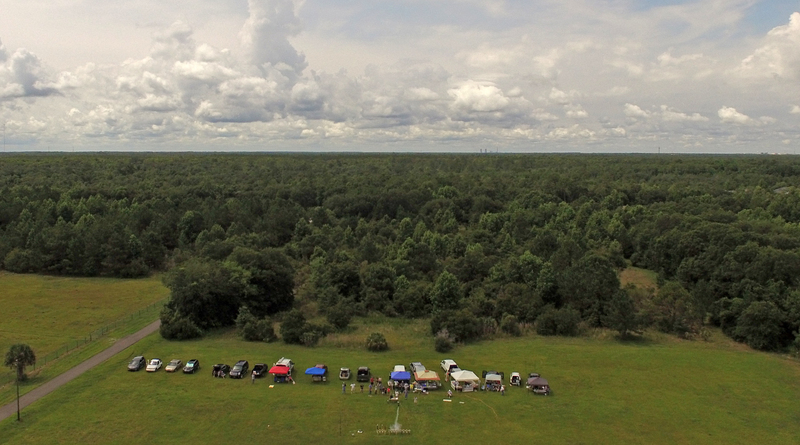 The light winds and moderate temperature made for a great day to fly. The countdown reached zero and a rocket soared skyward more than eighty times during the day. 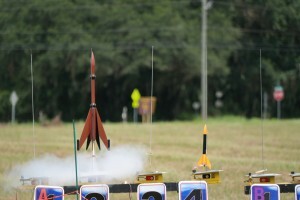 I’ve uploaded the photos Bracha and I took of the launch to a Photo Album at RocketReviews.com. Below is a video I created using some of the photos and footage captured from my quadcopter. 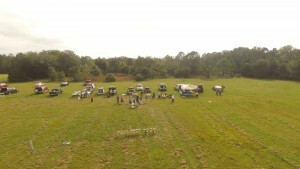 Turnout for ROCK’s September launch was low, but everyone had a terrific time. 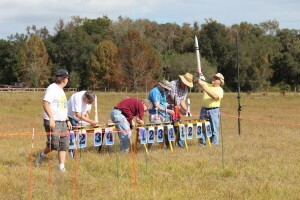 It was hot, but the light wind kept the rockets landing in the field. The video below was taken using a DJI Phantom 2 Vision helicopter flying above the launch site. 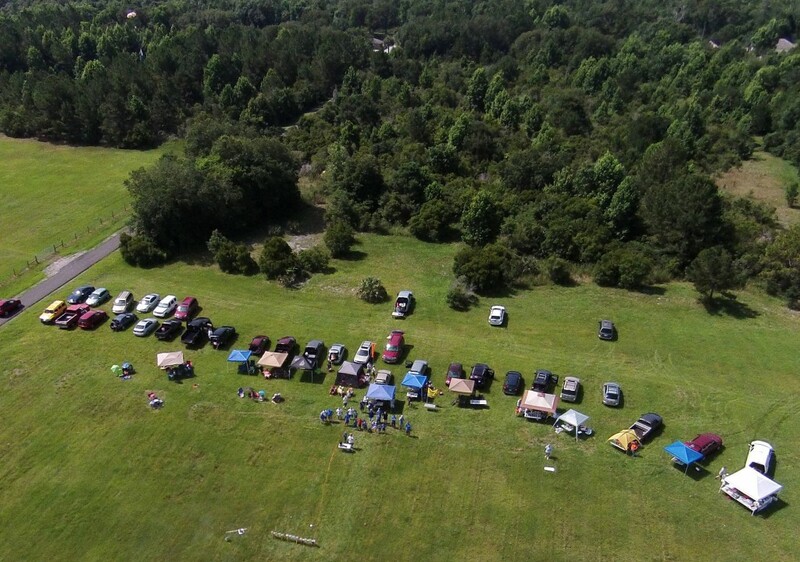 More than 75 flyers attended ROCK’s June 2014 launch! View additional photos of the launch in the June 2014 ROCK Launch Photo Album at RocketReviews.com.